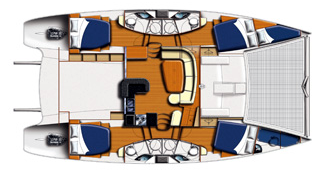 The Leopard 4600 catamaran is a Who Was designed for the location. Its internal fittings AND Que SA Grand rear plate form are the De Vivre Warranty Exceptional times in the Caribbean. Situated in British Virgin Islands, this catamaran Leopard 4600 (2 single and 4 double cabins), built in 2009 by Robertson & Caines, is capable of hosting up to 12 pax. Further more, and for a better bareboat catamaran charter experience, the Leopard 4600 is equipped with air conditioning and generator.